Indigo is thrilled to partner with the thirteenth annual Learning Technologies Conference on 25 January Creativity expert and author, Dr Edward de Bono, will open with a keynote speech on one of the fundamental issues facing business: how we think! The Learning Technologies Conference attracts the L&D sector’s foremost speakers: fifty different speakers will present at the forthcoming event in January. The conference will opened by Dr Edward de Bono who will deliver a keynote speech, ‘Meeting the L&D challenge with smart, creative and innovative thinking,’ challenging L&D professionals to assess how they think and how to tap their creativity to improve business performance. Dr Edward de Bono is one of the very few people in history who can be said to have had a major impact on the way we think. In many ways he could be said to be the best known thinker internationally. For many thousands, indeed millions, of people world-wide, Edward de Bono’s name has become a symbol of creativity and new thinking. He has written numerous books with translations into 34 languages and has been invited to lecture in 52 countries around the world. 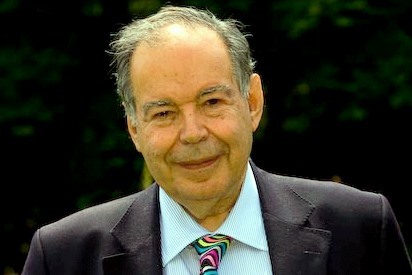 Edward de Bono’s special contribution has been to take the mystical subject of creativity and, for the first time in history, to put the subject on a solid basis. Indigo will exhibiting throughout the conference at Stand 274 in the Exhibition area. This entry was posted in Creative Thinking, Edward de Bono, Indigo Newsletter, The de Bono Weekly Message and tagged Creative Thinking, Dr Edward de Bono, Innovation, Lateral Thinking, Six Thinking Hats by admin. Bookmark the permalink.